A pair of pajamas - size 4. Big enough for Luc to grow into. He has blue eyes like his daddy so that's why I chose the blue for him. More flannel. 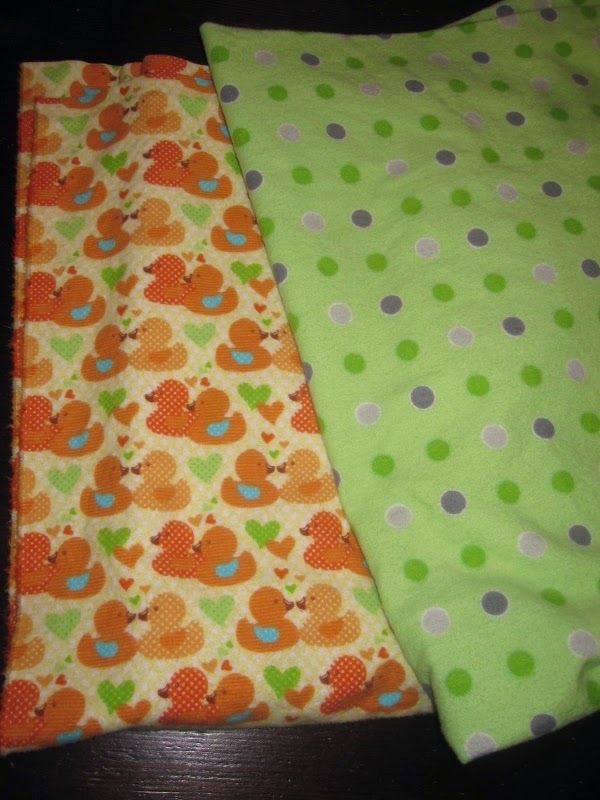 More baby blankets. Now, I'm off to cut another pair of pjs - this time for Patric. Same fabric, different colour. 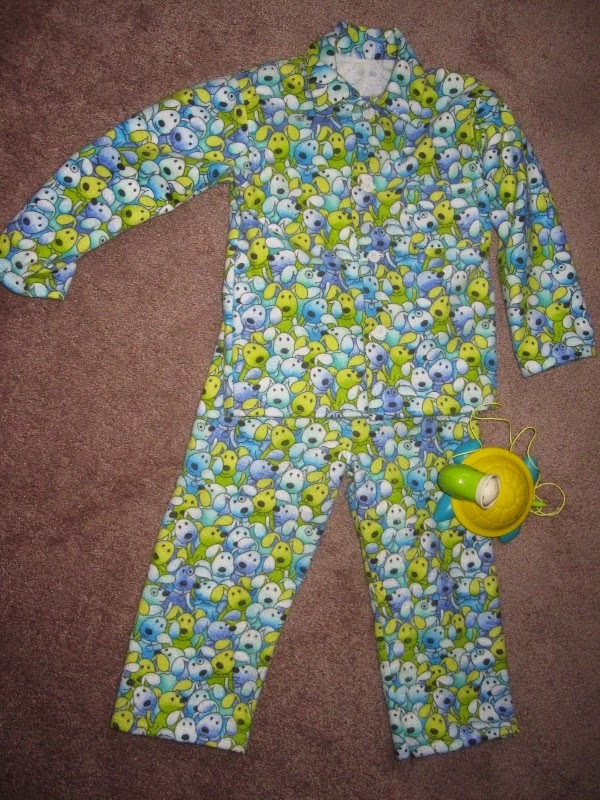 ooooh - the day will come when I can make pint-sized jammies too!! Very cute Jammie's to keep luc nice and cosy . When do you find the time????????????????? They're lovely - as always. Such a good gift for your grandsons!